APPRENTICE jockey Jessica Eaton officially transferred to Mornington-based trainer Chris Meagher two weeks ago and has quickly claimed her first Melbourne city winner. Eaton, who has been on loan to Meagher for the past six months, continued her winning relationship with the in-form mare Famelist, for Mornington trainer Gary Carson, when saluting at Sandown on Wednesday 18 April. Eaton has been aboard the seven-year-old mare at all four of her starts this preparation and has racked up three victories since storming home first-up in a benchmark 64 at Sale at $51 to win on Tuesday 27 February. Eaton was full of praise for the mare and said she was even happier to get the win for the Mornington-based Caron’s stable. It’s been a successful couple of weeks for the 24-year-old hoop who also claimed the National Apprentice Jockey Series for Victoria on the Wednesday prior to her win aboard Famelist. While Eaton concluded the series in Perth with a short-neck second aboard Scoreline, she had done enough to clinch the title and topped it off with her maiden city win aboard the Stephen Rowe-trained Classi Survivor ($17) in the final race of the day. “Being able to go to another state and compete against other jockeys is an incredible experience,” she said. Eaton is hoping to keep her hot run going and said that it’s great to be back in a busy environment like Mornington. 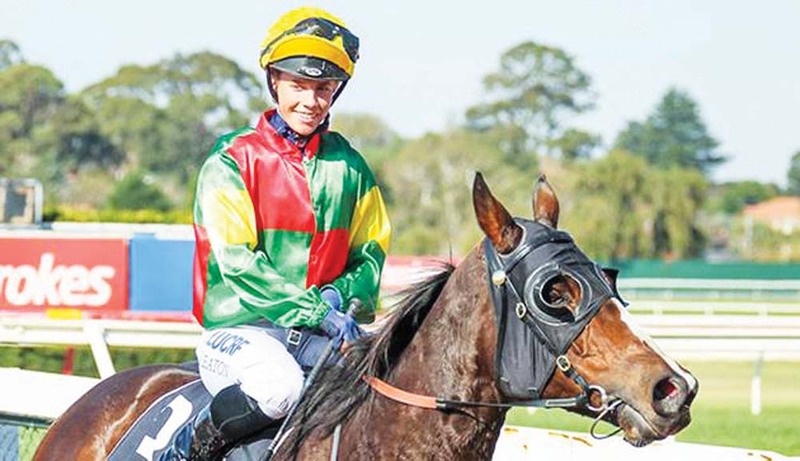 “There is probably about three to four trainers at Stawell and before that, I used to ride at Caulfield so it’s great to be back in this type of environment,” she said. “I’m getting a lot of support from local trainers and they are all going at a good strike rate at the moment, so it helps to get good rides for good trainers. Eaton currently sits at sixth on the Victorian Apprentice Jockey Premiership with 34 winners for the season.